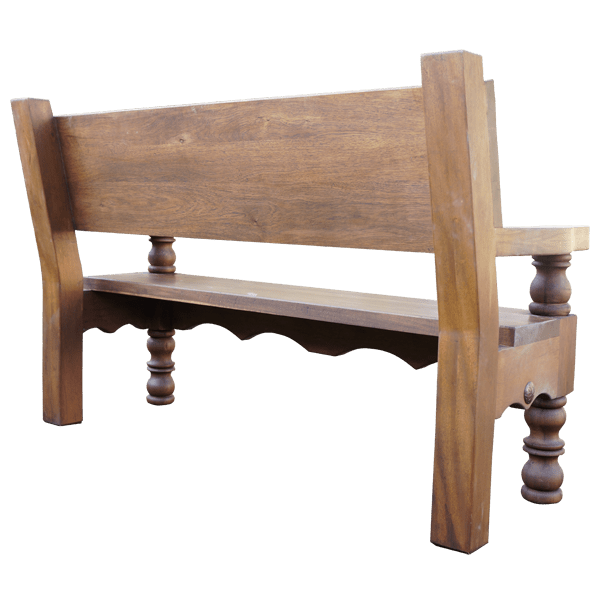 This marvelous, handcrafted, Spanish colonial style bench can be embellished with your initials, your ranch brand, or with any hand carved design that you would like. The robust, solid wood, seat back is attached to the frame with large, hand forged, iron nails. The bench has a spacious, comfortable seat, and the seat is accompanied with graceful, curved armrests. 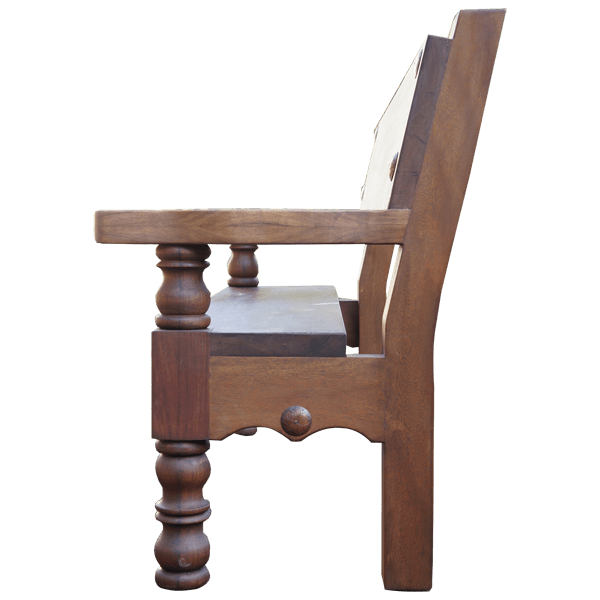 The front of the seat is adorned with a curved, Spanish colonial style apron, with hand forged, iron nails intermittently hand tacked to its front. 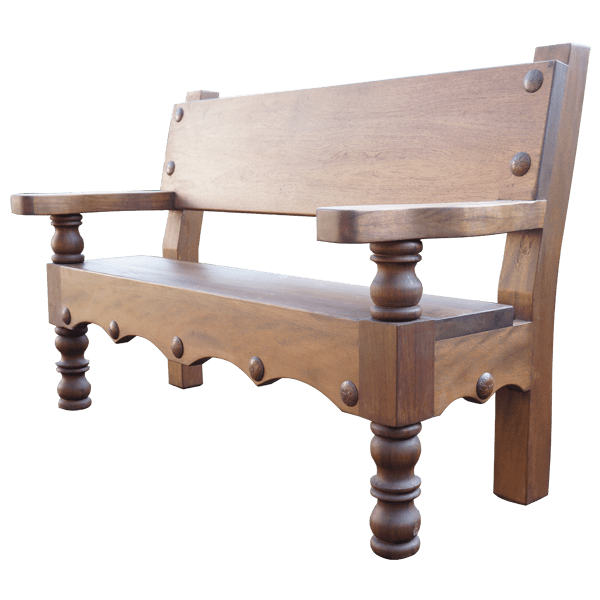 The bench is supported in the front with straight, hand turned legs, and in the back with straight, rectangular cut legs. 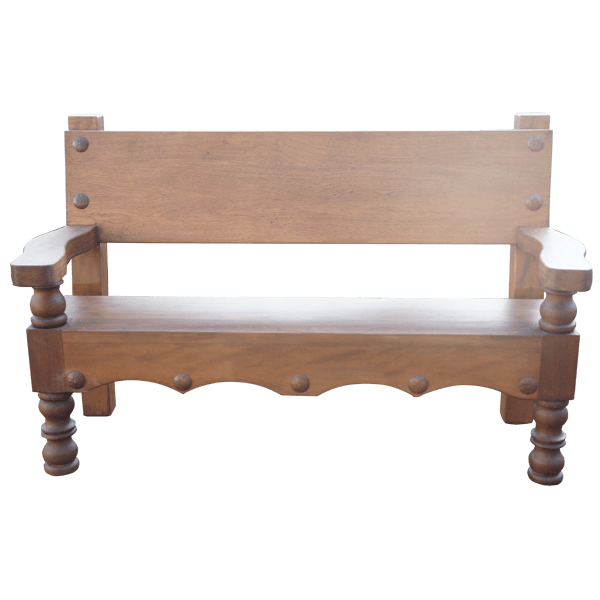 The bench has a light, classic finish, and it is made with the best, sustainable, solid wood available. It is 100% customizable.